Any school which is affiliated to the state board and has the ‘No Objection Certificate from the State can apply for CBSE Affiliation. Let us go through this post and understand how can you start a CBSE School in India. Schools in India has to function as a “NOT FOR PROFIT” in the form of Society / Trust or a Section 8 company. I have written a separate post on the formation of the Trust & Society. Click Here to read about it. How much does it cost to build and run a school? The minimum land requirement by CBSE is 1.5 Acres but there is a host of factors which can play a part in this requirement such as Type of City, Population, Location of the land, Type of Property etc. 9 In the Municipal Limits class-X cities (Ahemdabad, Bengaluru, Hyderabad, Pune)or on the Hill stations. You multiply these numbers with Rs 1000 – 1,400 per sq feet and this will give you a ballpark costing of construction plus furniture. Over and above this you can spend on Marketing, Landscaping, Sports Facilities etc. That is completely dependent on the promoter’s vision. A School has to have an affiliation from the State Board. It doesn’t matter if it is eventually affiliated to CBSE / ICSE or IB Board. Education is a state subject, hence the can have any affiliation but State BoardAffiliation / Permission is mandatory. Starting any Brand Franchise: There are a lot of franchise (Brands) to choose from like Brighton International School, DPS, Bhartiya Vidya Bhavan, Everonn, Manipal, Shamrock, Mayo College, Kangaroo Kids etc. All these have a proper corporate office where there are teams involved with the expansion of the chain. Their website is the way one can get in touch with them. Typically they charge a Security Deposit (to be fixed for a stipulated period) a Licence Fee (chargeable every year) and a Revenue share per student. None of this is fixed and may depend from organization to organization. They will help you in setting an elementary process and curriculum right. The Land on which the school will be built has to be either leased out or should be in the name of the society or the trust. The documents should be certified by the local land registration office. For a CBSE school inside the city limits the minimum area should be One Acre and outside the city limits should be 1.5 Acres. I get the maximum amount of queries regarding the size of the land, especially from Metros. CBSE has recently amended the bye-laws regarding the requirement of land. Kindly go through the circular. It specifically states the land required for starting a school in Metros should be greater than 1600 Sq Meter (about 0.4 acres) for Pre Primary to Class X, and about an acre for Classes up to Class XII. For the rest of India, the rule has stayed the same as described above. I have written a separate post on this topic, here is the link. If the land is leased out to the ‘Not For Profit’ entity the minimum duration should be 15 Years. GET THE STATE BOARD AFFILIATION (Get an approval from the local Education Office ) – Once the building and the staff is ready, open admissions. Simultaneously go to the local education office in most cases DEO (District Education Office) and register by paying the fee. Post inspection of the school premises and after taking the relevant information they will provide the society/trust with required certification. The school will first take-off after the permission from the state board. This is essential, there has been a ruling by the court on this aspect. The above mentioned steps simplistically captures, how you start school in India, now moving to ‘How to get CBSE Affiliation of your school’? For a brief period of time this certificate was revoked by the CBSE but in December 2016, it has again made the entry. I have detailed it in a separate post here. Click Here. The School basically have to write an application to the State Education Secretary Office (located in the state’s capital) and ask for NOC so that the state allows if under their jurisdiction a school start following central board. This can be a simple application where a copy of the application goes to local DEO office. Police Verification Report – All School Staff including Class IV Staff. & Safety Audit Report from the local Police Department. I am hoping after having a look at all these details, DEO will sign the Appendix II. Earlier you have to make a demand draft as Affiliation Fee which was supposed to be sent to the board with all the above documents, now it can be done at the HDFC Bank. School is required to remit prescribed fee through a system generated e-challan at any branches of HDFCBank or through NEFT /RTGSthrough branches of any nationalized /scheduled Banks. The Affiliation Fee keeps on changing from year to year. Here is where you can access the details on the current fee – Affiliation Fee. After taking the printout of confirmation page of the online application form, the same duly signed by the Principal and Manager of the school along with enclosures and CBSE copy of fee payment challan shall be sent to the Board. You also have to furnish some basic information with regards to your school to CBSE. This happens in the form of an ONLINE FORM. Here is a sample of the of the FORM. Keep checking your application progress online, CBSE gives you the facility for the same. You can call and check, most of the time nobody picks up so try getting most of the update online. CBSE will send a letter mentioning the officials who have been deputed to come and inspect the school. Without wasting any time, get in touch with them and arrange for them to come. Mostly one of them would be a Central School (Kendriya Vidyalay) Principal and the other one an experienced hand from any aided or un-aided school. Bank Certificate – Mentioning this – in case you have to take some project loan from a certain bank. Approved Map and Building Layout – from the relevant Town and Country Planning Authority. School Building Room Particulars School Building – List of all the rooms along with the size and details. Undertaking by Manager regarding the admissions only up till Class VIII – This basically says the school is not admitting students in classes for which they do not have permission. Earlier – Inspection – Inspectors/Officials will have a form with them where they will jot down all the information about your school. (Be very specific about Salary structures and its distribution, Land Records – these two things get special attention. Once they are done they are responsible for sending your file to the board. The inspecting team will be responsible for uploading the relevant documents online, hence you are advised to scan the entire file page by page separately and keep it handy in a USB flash drive. Now a days, the inspectors have access to a CBSE website, where they fill the data realtime at the campus itself. Once they leave keep checking with them, whether they have sent the file or not. Once the file is submitted, online status would reflect the same. In about 45 ~ 60 days of submission of the file and favorable reviews from the officials the school will get CBSE affiliation. Do I have to procure affiliation and then start the school? NO You can only apply for affiliation once you have started the institute. The affiliation asks for a lot of information regarding the students' strength teachers etc which can only be filled once you start the school. My society comprises of members of my family, what do I do to make it of "Non Proprietary" nature? Off all the members in a society majority i.e more than 50% cannot be related by blood. Also while declaring the members of the society in the affidavit the Chairman will have to declare the relationship among the members who all are related by blood line. I am running a school in a rented building. Can I apply for affiliation? The law clearly states that the school should have Proof regarding possession of 2 acres of land (pg 60 of bye laws). Hence the school can run in a rented building but the land on which the building is built should be owned or leased to the society. Society can lease the land to a company which can then construct the building and can charge the society a rent on its investments. 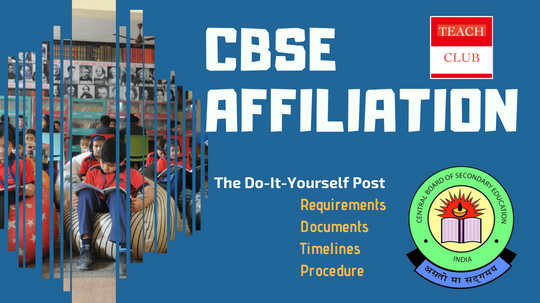 Do I have to take State Board Affiliation to start a School, Can I directly apply to CBSE Yes you have to procure State Board Affiliation post that only you can go for CBSE Affiliation. Is this the entire list of documents? I believe this is the list in case they need more information you can always ask for more time. Salary drawn by Teachers at my institute is not at par with State Norms or Central Government Norms Don't worry about it. Salary is a subjective topic and can vary from city to city within the same state. It all depends upon the cost of living in that particular area. Don't worry about low salaries. You just have to be fair in showing that what you have specified in the offer letter is what is going in the bank account and the same is getting signed by the employee. Land original documents are with the Bank as collateral Get a photocopy attested by the bank that this is a true copy of the documents pledged with them. Get the bank manager sign on the photocopy. Approximately what is the time between submission and inspection and how much time is spent by the inspection Team on the campus It takes about 3-4 months from submission to inspection and the team spends about 5 to 6 hours (Arrange for them to have meals either in the school or a place nearby). What is the investment required to open a school This query invites a subjective response but a thumb rule for starters / planners. 2 Acres of land at the market price plus cost of construction at about 1200 Rs a square feet. Non-Proprietary Affidavit. What do I do when some members are related to each other? This is a very general trend across societies though advisable is very few members should be related to each other (blood relatives). Even if people are related to each other the Chairman/Head of the trust society should declare the same while submitting the Non-Proprietary affidavit that 'x' person is related to 'y' person through by 'z' relationship. Do I know somebody who can take BRIBE in CBSE or outside and get you an affiliation The Answer is "HELL NO". If it is not inside the city limits of Trivendrum, the land requirement is 1.5 Acres for a CBSE school. Nice article, thanks for sharing it. Your way to provide world class education for student. hello sir, I need the building norms for CBSE SCHOOL, AND ALSO I NEED THE INFORMATION HOW MANY STUDENTS I CAN ACCOMADATE IN ONE CLASS ROOM. Dear Sir, Kindly read my blog http://brightoninternational.in/teachclub/infrastructure-requirement-for-a-school/ for the construction requirements at a CBSE School. Sir i/c was constituted for upgradion in feb 2018 but till date no communication received from members . Now what to follow further will you help/gude me . The application was for session 2018-19. Why have you taken this much time to figure this out. Kindly check the CBSE Affiliation website http://cbseaff.nic.in/cbse_aff/Form/ICMLogin.aspx, now they also have a module where a School can change the Inspection Committee Members. If this is not working out, I suggest a representative should travel to CBSE Preet Vihar Office with the request. Big chain of CBSE school is operating two branches of school with single cbse affiliation from one school in the same city as they have started new branch in 2016 & they are awaiting CBSE affiliation still for 2 years now? I have this question/concern because I am planning to admit my ward in 10th Standard to one of their branch which is not having cbse affiliation currently as it close to my house and they are assuring that board exams will be arranged through the other branch which has affiliation. Students would have to go to the other branch to give board exams and they will arrange transport for exams. Please advise if this arrangement is legal & possible? Though this is not allowed by the board and if reported will go as malpractice. Kindly use your discretion on this further. What are the various courses that a lay person can do in order to be able to legitimately influence the curriculum of a school, without necessarily taking up a teacher’s/principal’s job? 1- How to start with which registrations and where to apply for registrations? 2- If we get State Board registration then how to choose a CBSE syllabus/books so that we can get CBSE affiliation in future? 2. 2- If we get State Board registration then how to choose a CBSE syllabus/books so that we can get CBSE affiliation in future? – You can use NCERT books or call several different publishers which are there. All thanks to you as we got provisional affiliation last year upto secondary level…we are applying for switch over to senoir secondary this year. My question is…do we need to appoint the required staff right now. We actually don’t need them as we r running class 10th. But for affiliation process, is it required to appoint now itself? Do opening a school upto UKG needs any kind of registration ? From state government or from any other firm ? Essentially any entity operating in the space of education should take permission from the state government besides being a legal entity like Society / Trust / Section-8 for Schools & Colleges and for Pre Schools there are options to run as Put Ltd company, Partnership or proprietorship firm. hi, I have 206 sq.yds. Land, can I open a school by floor system. the school will be upto class 5 and affiliated to CBSE. 206 Sq Yards = 1854 Sq Feet which is not big enough for a school, you require a minimum of 7260 square yards to start a CBSE Affiliated School. Ours is a new school for the year 2017 and i want to start with the ncert books in my school for the next session, can I do that? And also if i want to start the new session form April 2018 , can that be done? You ca surely use NCERT Books or Private Publisher Books in your School. For the new session, it depends from place to place in India. If all the schools in Morbi are starting at the same time, you can do the same. 1.My school is affiliated from Punjab School Board. May I fill application for CBSE. 2.If I have 1 school affiliation from CBSE or Punjab board. May I open second branch in another locality in same city. My school is affiliated from Punjab School Board. May I fill application for CBSE. – yes you can. You have to compulsorily take NO OBJECTION CERTIFICATE from state government. 2.If I have 1 school affiliation from CBSE or Punjab board. May I open second branch in another locality in same city.- Yes you can start but you can’t claim that School will automatically be affiliated to the board. Schools have to be treated as individual assets and so is their affiliation. One has to remember the affiliation is given on infrastructure and integrity of processes rather than to a brand name. But CBSE says Do not send any document to CBSE unless asked for. Why we are submitting physical copy of annexures in CBSE office? Can you please clarify? You are right, they don’t ask for any documents at the application level but after that it is asked and is recommended. i am from tamilnadu .how to get NOC from state govt. Is there any specific form is there or what is the formate ? Theere is no format, just an application from your side would do. i am from rajasthan and i want to open a school from 6 to 12 std. without pre to 5. Is this possible sir??? Instead of Trust/Society, can Registered Company start CBSE school? Please guide! I have a land of about 0.5 acre in Allahabad. Can I open a school till 5th standard affiliated to CBSE board? If not then which board is suitable? I mean no classes from nursery to 10. We are willing to start CBSE having few queries. 1. Our trust is formed in 2016. Is is possible to get affiliation? 2. While filling up form we are unable to find our district in the list. What to do? 3. Building is ready, students admission are on, state board affiliation in under process, can we go in for CBSE? WHAT ABOUT NOC? Our first day of school is declared as 08-06-2017. Can we go in for CBSE process?? 4. What is the proportion of blood line relation in trust for non propriotary character? 1. Our trust is formed in 2016. Is is possible to get affiliation? – Yes why not. 2. While filling up form we are unable to find our district in the list. What to do? – Take a nearby District if it is there, make sure you get the city right. 3. Building is ready, students admission are on, state board affiliation in under process, can we go in for CBSE? WHAT ABOUT NOC? Our first day of school is declared as 08-06-2017. Can we go in for CBSE process?? – No you can’t. First get affiliation from State and NOC post that apply. Though you can keep filling the online form bit-by-bit and the final submission can happen later on, once you have all the document. 4. What is the proportion of blood line relation in trust for non propriotary character? – They should not be in Majority also if there are any, the chairman of the society should declare the same in the affidavit. I want to know if we get the provisional affiliation upto class X Then can we apply for the next year for the affiliation upto senior secondary level. We have got CBSE affiliation upto class 10th from 2016-2018.Can we apply for the senior secondary affiliation or we have to wait. I want to start school plz guide me . You can send me a mail on abhiney@brightoninternational.in or call me on +91 70002 40006 giving me more idea about you and your project. plzz tell us what to do,is there any other way to get ic letter or how many days it will take time..
Dear Chetan, I believe the letter must have come by now. In case it hasn’t, don’t worry, it will come soon. TO open Free English School For Our VIllage Students. SO Please Suggest Me Every Thing In detail. I have written multiple posts on this subject, just go through all the posts. Is this ok by bye lawz? Location of land is not a big issue, just make sure No HIGH TENSION electrical cable should run overhead of the building. Also now a days schools are getting rejected because of boundary walls, make sure you have adequate infrastructure on that part. sir we have applied for secondary classes affiliation,and we have now received in our application status as IC Constituted and in letter section the letter is not displaying ,so plz suggest us what to do..
Dear Sir, Is it mandatory to affiliate to CBSE Prior commencement of 6th grade in school. In your case I suggest start school till Class VII to give yourself a cushion of a year. For example if you are starting a school in 2017-18, apply for CBSE affiliation directly upto Secondary School (Class X) by June 2018, you will have inspection by January/ February 2019 and will have affiliation by March – 2019. If the state government stops/ dismisses any affiliation to schools up till 5 years from now as that in Uttar Pradesh about which the announcement is made recently, Where should one get the affiliation from and how? Does CBSE gives affiliation till class 8th as well? In such a case, where state government or Basic Shiksha Adhikari doesn’t give any affiliation what are the other provisions? There is no other way, sadly. You have to ask the State Board for No Objection Certificate. As far as the State Board Affiliation go, they should give that to you if your infrastructure is meeting their standards. Rule 3(ii) (b),(c), (d) & (e) below. So please reply me whether 1.5 acres of land is enough for all 4 streams in +2. REALLY SIR , YOU ARE WONDERFUL. PEOPLE LIKE YOU ARE VERY RARE IN THE WORLD. TODAY I JUST TRIED YOUR NUMBER, YOU IMMEDIATELY PICKED THE PHONE AND SOLVED MY QUERIES AT INSTANT. MANY – MANY THANKS & REGARDS. hai Abhinav could you please mail me a sample copy of Memorandum of Association of Trust for Educational institute. I don’t have them ready for distribution. Would you be interested in taking my professional services, do let me know. 2- cbse nursery to 5th tak kholana ka liya kitani jameen ki jarurat hai. kam se kam kitana room ki jaroorat hai. 3- cbse kholane ka liya principal and teacher ki kitani qualification ki jaroorat hai. 4- sir please write the process for open a cbse school class 1 to 5. 1- sir cbse kiraye kai kamare mai khola ja sakta hai – Kiraye ki Zameen pe khola jaa sakta hain, uspar agar rooms banein ho toh aacha hain ya phir aap khud banw saktey ho. Zameen lease par lena padega for a period of 30 years. I am planning to open a school in Haryana (area comes under Delhi NCR ) which will be for pre- primary (Below grade-1) To primary sections (From Grade 1 to 5). As I have read your comments that affiliation is mandatory if It has classes from 1st to (onwards) and that pre-requisite is very costly especially for the land requirement. As in my case Land requirement is one acre (Relaxation for Delhi NCR) for CBSE and 0.5 Acres for BSEH (State government) correct me if I am wrong? I already mentioned that I will open for up to 5th only. I also want to confirm that if I got the approval from BSEH for primary section (state government) can I teach the CBSE syllabus to the students? Is it possible that I have BSEH affiliation but teaching medium is English? For BSEH affiliation what is the lease duration of the land as in case of CBSE it is 30 years. One more thing I need to know when affiliation process should start actually. Before enrollment of the students means building is ready now publicity for enrollment? Or it can be after starting the classes. Or it can be after one session is over. 1) Can I teach the CBSE syllabus to the students? – YES, you can. No issues with that. 2) Is it possible that I have BSEH affiliation but teaching medium is English? – YES, very much. 3) For BSEH affiliation what is the lease duration of the land as in case of CBSE it is 30 years. – Read the BYE Laws, I am not aware of it. Should be online. 4) I have seen lot of school in my area which are not affiliated to any board and continuously giving the education to pre to VII standard? What are the drawbacks if my school is not affiliated to any board and having the classes from pre to primary (Up to 5th) – Not possible, to start a school you have to have state Government Permission / Affiliation. 5) when affiliation process should start actually. – If you mean to ask CBSE Affiliation – It is after the school is up and running. For State Board – Before the schools starts or have just started. Dear sir is there compulsory to affiliate by cbse board for only preschool. CBSE till now has got nothing to do with Pre Schools, the CBSE Affiliation is only applicable for Class I and onwards. I have couple of queries regarding opening a CBSE school in Rural area. I have 1.5 acres of Land in Rural area, and we are planing to open a CBSE school from Pre NC to 8th Class as of now. Is it sufficient?? What should be the standard area for a classroom, Lab, Library and Office? And if we plan to exceed till Class XII, then this land could be enough or not?? The land should be enough. No issues with the size. For Classroom Size – Please go through the CBSE Bye Laws, everything is mentioned there. Though there is no fixed size of the rooms, but is dependent on number of students. As per cbse byelaws, minimum 2 acre land is required..Mr. abhiney pls share if there is any correction with this laws? You can do a school in 1.5 Acres, but there will be certain riders attached. Kindly go through the Bye Laws and have a look. As per my query that for username and password for entering Class IX student registration your answer is We have to go to Regional Office and meet the staff nothing will come to mail or School Address. You don,t think that if all process is online then why for receiving school Credentials we have to go to RO which is in another state. Suppose we receive the username and password & enter our class IX student details and in the next three months we are unable to fulfill the requirement as mention in the grant letter Then what will be the possibility they will give us more time or disaffiliate our school If they Disaffiliate our school what will be class IX students registration. Since the time of essence and I though you would like to move fast hence I advised, though the username and other details will very soon come to you saw well. My question is now we go to regional office and submit the documentary proof then Affiliation grant paper which is available in internet is signed by the Deputy SEC (AFF) because the grant paper which is available in internet not signed by the Deputy SEC. My second question IS our school is now affiliated upto class X what is procedure now for getting the user name for uploading the class IX student registration we have to go and meet the Regional office or speed post our queries to the RO because RO CBSE office is another state which is very far. Query 1) You don’t have to, all of this will happen automatically, plus the letter you would have received, you would have acquired without CBSE sending it to you, hence the signatures really doesn’t matter. Query 3) YES, but do write back giving explanations and measures adopted to overcome the deficiency pointed out by the Inspection Committee. 1. How much land would be needed to open a school? 2. Can we get affiliation from CBSE directly till 10th or is it something else? Would request you to kindly help us. 2. Can we get affiliation from CBSE directly till 10th or is it something else? – Yes you can but only after you have started the school upto Class VIII. I HAVE 1.48 ACRE LAND IN VILLAGE(GRAM PANCHAYAT)AREA. BUT BIHAR GOVT. DECLARED THIS VILLAGE IN PATNA METROPOLITAN AREA. I WANT TO TAKE CBSE AFFILIATION. ABOVE MENTION LAND AREA IS SUFFICIENT OR NOT FOR CBSE AFFILIATION? IS IT NECESSARY TO TAKE PRIOR RECOGNITION FROM BIHAR GOVT.? 2017 se start karne ke liye kya kare? Teacher ki yogyta kitni honi chahiye? Kitane kamare chahiye? – Jitni aap class aur section banaye plus Library + Labs + Utility Rooms, utnay kamrein / clas honi chahiye. 2017 se start karne ke liye kya kare? – Building bana kar apnay state board se affiliation le kar, June 2017 take CBSE main apply karein. , curriculum designer and all. i can apply to CBSE? Yes 1 Acre will be enough for you, though there will be certain riders. Kindly go through the CBSE Bye Laws to understand the same. i am Nidhi and i am new to this affiliation procedures, i am working currently as a principal, in an 16 year old school, it has been affiliated to the board for the last 12 years, this is my second year on my new role, i have recently applied for extension of provisional affiliation for the year 2017 onwards.The affiliation period ends by 2017, the status i received online was “under Scrutiny”. i.e after a year of securing extension of provisional affiliation, or apply for CL-XI & XII when the online window opens. # i will have to remind you the building is still under construction and is projected to complete them by this session’s end. – It will be like this till end of September, post that there will be an update. – You should have applied by this June, but since you didn’t apply this year, do it by Next June. If you are looking for a professional consultant let me know, I can help. ##. The reason we did not apply for Upgradation was due to the ongoing construction for the CL-XI & XII, though we could have applied on june but our Affiliation for X was set to expire on 2017, so thought to secure what we have already and go for the Upgradation, in full force after completing the construction with its relevant documents. Thanks again, wish you an Amazing day ahead with blessings for your family. I have some queries and interest in obtaining a franchisee of well reputed school brand. 1. Can we start a school directly from 4th or 5th class or is it mandatory to start from 1st class itself? 2. What are the factors we should consider in naming our school? 1)Agar me cbse school open krna chahta hu to Phle kuch saal state board se chlana pdega ya direct cbse se start or skta hu? 2) Society/trust me Kitne person hone chaiye and us trust ka chairman Kon rhega me ya koi other person? 3) CBSE school konsi class se start hota he nursery ya 1st and Kitne tak minimum rhta he 10th ya 8th? 4)Minimum Kitne teachers hone chaiye and unki qualifications kya honi chaiye n experience? 5)Jo bhi Profit hoga wo kis2 me share hoga? 1)Agar me cbse school open krna chahta hu to Phle kuch saal state board se chlana pdega ya direct cbse se start or skta hu? – Minimum Aek Saal aapko State Board main to chalana hi paged. 2) Society/trust me Kitne person hone chaiye and us trust ka chairman Kon rhega me ya koi other person? – Dono ke alag – alag norms hain.Trust main am log chahiye (minimum 3 members) or Socity main minimum 7 log honey chahiye. Read on internet, lot of info is already there, I have also written a post on this. 3) CBSE school konsi class se start hota he nursery ya 1st and Kitne tak minimum rhta he 10th ya 8th? – Class 1 se CBSE affiliation deli hain, nursery etc is your choice. 5)Jo bhi Profit hoga wo kis2 me share hoga? – Not for profit society main rahega. Mr. Abhiney, I have registered a society this year, and want to know that do banks offer loan for starting a school? Society wants to start a school in Durg-Bhilai or Rajnandgaon region. Nationalised banks can offer you loans for School, speaking to Private banks more often than not is a waste of time for New Projects. A school with two different facilities can get affiliated to two boards. with title St. Mary’s Convent Hr. Sec. School, working since 1976, 40 years with state board of MP affiliation and recognition. for educational purpose and very soon we are going to build a new campus in that land. I would like to ask your kindself, are we eligible for CBSE or ICSE affiliation. If we do, then let m know the details about it. Dear Atul, You can go for ICSE affiliation, that could be a possibility for you. CBSE is not going to happen on this size of land. Can a school which has IB/ Cambridge Secondary and IGCSE authorisation get affiliated to only 9th-12th of CBSE and not offer grade 1-8? NO this can’t happen. This is only possible for some government school like Sainik School or Navodaya etc. Thank you so much for these insight informations about opening a school. Just wanted to check with you- to form trust/society- how many minimum members are required provided if they are not close blood relatives. Can we form a society with 2 members?? we applied for cbse affiliation for 2016-17 and on 24-05-2016 we paid 75000 to hdfc bank but we are fails to get affiliation and our application is not updated so please suggests us what to do next…..
Hi Mr Abhiney.How many teacher workshops before affiliation are mandatory?Any specific topics ,please tell. Each teacher should go through at least one such training across the year. Any specific topics for it ? So for training, there are pics already given by CBSE for schools to go through. A school can pick and choose and make their teachers go through accordingly. •	Recording and documenting case studies to fill report cards. As per CBSE norms Participants/Participant schools have to pay the fees as detailed For One day Workshop @ INR 409/- (Rupees Four Hundred and Nine only per participant+12.3% taxes). For Two day Workshop @ INR 743/- (Rupees Four Hundred and Nine only per participant+12.3% taxes). Hellow sir, I am having 43000 sq feet of land in a rural area in Jharkhand n owner n running school since last 3 yrs. Now I want affiliation from CBSE or ICSE. what is requirement of land for both type of school please intimate. 1 Acres = 43560 Square Feet. For CBSE you require a minimum of 1.5 Acres of land and for ICSE you would require 1 Acre. You will have to acquire some more land for either of these boards. i m from Bareilly( up)and start a cbse affiliated boarding school from 6th to 12th. i have single piece of Agricultural land near 36 bigha on badaun lucknow bypass situated 1km inside(suroad) from main highway. its distance from Bareilly city approx 9km. 1.) is it right location ? 2.) land area is sufficient for purpose? 3.) its agricultural land as i mentioned above. wht should i do ? 5.) wht are the expenses excluding infrastructure? 5.) wht are the expenses excluding infrastructure? – Depends on vision and your ideas. I am planning to open a CBSE school in my land near by Mumbai. We have land 2529 sq.ft. What is the step to form society / trusty what are the procedure for information of the society & trusty. Investment requirement for the school or self. Please suggest me procedure following to open CBSE school. You cannot start a school in 2529 Sq Feet which can be affiliated to ICSE or CBSE board. For CBSE and ICSE you would need at least 45,000 Square feet and 25,000 square feet respectively. In 2529 square feet, think about starting a play school if there is any opportunity where the plot is located. Sir i am extremely so sorry actually there is my mistake my land is 2529 sq. mtrs. so that is possible open new CBSE school or ICSE school. Sir, You need 0.5 Acres for ICSE School which is what you can start with. As your land qualifies for that. If you need a consultant to help you start the school, let me know. sir i have total land 81,700. its possiable to open the any one school. You don’t have to change the trust but you should ask a few of the members from the board to resign and new members could be inducted. Make sure members of family cannot have the majority share and additional to this the Chairman of the trust has to declare if any of the members is related to him / her. I have one acres .I wants to open a school .Please suggest me. For pre- 10th . I am planing to start a CBSE SChool near by chennai (Tamil Nadu ) we have land more then 10 acre . What is the step to form society / trust what r the procedure for formation of the society/ trust. i went through all reply it is very nice. i am principal from mumbai having 28 years experience and 5 years experience as a principal .i have inspected more than 10 schools. now i left the job . if any consultancy work comes u, kindly refer to me. i shall do it. my name is vivek. i want to open school in rented building of 3000 sqft. can i get state board affilation. Dear Vivek, you can only go for State Board affiliation with a long term lease. I am running a secondary school in Chittorgarh (Rajasthan) and which is affiliated to state board, I have got registered the society (under section 28 of ACT 1956). I have another piece of own land (2.5 Acre) and want to open new CBSE school. (1). Will the same registered society is ok ? or I need to register again (under section 25 of the companies Act of 1956) ? (2). whom to contact for land certificate, will it be tehsildar,patwari or someone else ? (3). What to get from state government either recognition or NOC, and how ? (4). Its better to open new school or convert existing school into CBSE ? (1). Will the same registered society is ok ? or I need to register again (under section 25 of the companies Act of 1956) ? – Same registered Society is alright, you don’t have to open a separate school. (2). whom to contact for land certificate, will it be tehsildar,patwari or someone else ? – Collector / DM, CBSE will require the certificate ‘as is’ don’t try to change the template in any way else. (4). Its better to open new school or convert existing school into CBSE ? – Both are equally good. All depends upon the underlying potential. If you are looking for a consultant mail me on abhiney@brightoninternational.in, we are already doing couple of projects in Rajasthan. I want to start a school for only class 11 & 12. How shall i got about taking an affiliation of CBSE for the same. I want to start an institute similar to KOTA institutes for preparing students for Engineering & Medical Entrance Exam. That’s why only class 11 & 12. I already run a coaching institute in Kolakta and we have 3 centres across Kolkata. Please guide how to go about it. This is not a possibility as CBSE doesn’t allow Schools to function like this. I am parsunig bca 2year . so tell me what can i open cbse school or not ? Surly you can open. Get land and finances in place. We found Deficiency after IC in our school Affiliation Status. Later on We sent the compliance report along with supportive documents to Board as removal of deficiency. It has been almost 20 days over. We are waiting for the Grant Latter. Will we be granted Affiliation by Board ? I don’t know since I am not privy to the kind of deficiency and your clarification. I suggest wait for a while for the clarification from the CBSE or else travel to Delhi. This should be enough I believe. Sir, i am running a school afilliated with state board upto class 3rd, but now i want to get it affiliated with CBSE upto 5th class. i have 16200 sq. ft. ( 3 kanal) of land. is this ok to apply for the same. Please tell the how much old society is required for affilation of CBSE. The age of Society doesn’t matter for CBSE. It could be new or old, the age is of no consequence. Sir i want to open a school but my land area is less than 2 acre means the s shortage of 3000 sqrft only so I should go for it or not.and d main issue is what should be the standard size of class rooms according to cbse norms so that thr should not be in problem while getting affliation,and initially I want to get started till class 6th .and what should be minimum built up area from which I can start my school easily .and number of class rooms. Today I got sample of Non Proprietary Affidavit Format through http://www.scribd.com, which was uploaded by you,thanks for it. 6. TRUSTEES ( NOT HAVING ANY FAMILY OR BLOOD RELATIONSHIP WITH ME). While getting affidavit signed by District Magistrate I will be mentioning all this details By saying this trust is running not for profit. But while applying this affidavit format for CBSE affiliation process, Do this will affect us in any way for getting CBSE affiliation. If suppose it will affect, what I have to do.. Because I am going to apply at the month of April(2016) end. sir can i take CBSE Affiliation on Danpatra land in Jharkhand If i have enough land for affiliation,Is there any problem. What is Danpatra land, can you explain a bit. If you have enough land on lease or on the name of your society. I suggest go for it. The photocopy has to go to Delhi, regarding the fixed deposit it depends on the number of students. It is all mentioned in the Bye Laws. Reiterating here for your convenience. Above1000 – Rs. 100/- per student’ rounded to the nearest thousand. 2) Reserve Fund shall be maintained in the joint names of the Manager of the school concerned and the Secretary of the Board in a scheduled Bank. In case of institution receiving grant in aid or in case the School Education Act of the State/UT so prescribes, the reserve fund shall be maintained in the joint names of the Manager of the school and the Director or Education of the State/Union Territory concerned. The interest accruing out of the deposit of reserve fund made by the institution at the time of affiliation/ extension of affiliation be not withdrawn by the management under any circumstances what so ever. sir , i have already got sample scanned copies of your school for preparing file for affiliation . sir , i still have some doubts . actually from the year 2014-15 we are running the school from class NC . in the year 2015-16 our strength was 300 and now in 2016-17 we are expecting it to be 400. our all balance sheets and audit reports are as per this detail. now sir since in the session 2016-17 we are going for affiliation we are showing only classes from 1-8th , now since as per this change our number of students will change and also our income and expenditure . so sir we also have to change all our balance sheets as per this current detail . sir is this required , cant we show nc/ kg classes – if yes then what extra burden we will get in file or what are the problems we are going to face if we show them actual details and infrastructure. The way you are explaining it is sounding very complicated. Let me ease it for you. You have to show the audited balance sheet of the Society / Trust till date. When I say till date it means till last year. You cannot change the balance sheet since the books are prepared after the end of financial year. You produce what you have done. Speak to your CA for more clarification. I have one query regarding reserve fund for CBSE. Bye-Laws says to make a FDR in the joint names of the Manager of the school and Secretary of CBSE. Unfortunately we don’t have any post called ‘Manager’ in our SMC. 1. Can it be done in the name of Secretary of school (Which is actually Principal of the school) or Chairman of the school? 2. Also the names should not be mentioned in the FDR, right? Only the post would suffice? 1. Can it be done in the name of Secretary of school (Which is actually Principal of the school) or Chairman of the school? – No you can’t, why don’t you name your accountant or an office staff as manager. 1. CBSE affiliation only starts from Class I and onwards, so Nursery, Play School, Pre Primary do not feature in their parameters. 3. If you change the location, the affiliation process has to be initiated again, since the name doesn’t get the affiliation but the infrastructure get approved. If it is within Municipal limits the land requirement will be 1 Acre, please go through the bye laws to get more understanding of the conditions thereof. Is it possible to move him for cbsc affiliated school during next academic year. Yes off course you can. A child can switch school any time he wants during his course of study. It is only in Class X & Class XII that it gets a bit difficult, but that also is fairly doable. We have started a school frm lkg to third standard and will be adding higher classes subsequently. My question is when we are asking for cbse affiliation, iz student stre gth is a criteria? No, strength is not the criteria. I want to start a primary schoold. I have sufficient land in the name of my father. I have following questions. 1. Do I need to get registred the land in my name or i can go with lease? 2. Land is approx 1 KM away from the main road but there is sub road, will location be fine for school? 3. I am not able to deside, should i go with franchises or start own school. Please suggest. 1. Do I need to get registred the land in my name or i can go with lease? – You can do either, Lease is a better idea. 2. Land is approx 1 KM away from the main road but there is sub road, will location be fine for school? – You have to decide that, depending on the need of the place and the clientele you wish to bring in. 1. I plan to open an English medium school 3km from a municipal town and 20 km from a municipal corporation (20L population). It’s 2 km off the highway in a village.Does it sounds good? 2. I have sufficient land (market rate @1Cr/acre) but need money for construction. What should be estimate for school upto 8th? Also what are better options for getting finance? 1. I plan to open an English medium school 3km from a municipal town and 20 km from a municipal corporation (20L population). It’s 2 km off the highway in a village.Does it sounds good? – Should be fine, but it will be difficult for me to comments as I hardly know the place you are planning to start. School’s success depends on a lot of factor, obviously the location plays a very important role. 2. I have sufficient land (market rate @1Cr/acre) but need money for construction. What should be estimate for school upto 8th? Also what are better options for getting finance? – Get in touch with a CA — Create a Detailed Project Report — Get in touch with a Bank. Thanks for prompt reply. Are there some soft loans/grants for rural schools? Yes I am sure they can be arranged based on project report and the proportionate size of mortgage. 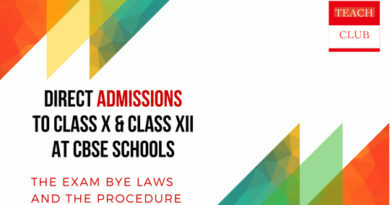 I am running a case affiliated school till class 10th and bow at this stage I am also going to apply for 12class and besides that I also want to change school name only is this possible? please send of bylaws of cbse building , lenth width, heights of rooms, passage width, staircase width etc . i need fully detail. I have about 30000 Sqft of land in a rural area in Rajasthan and wish to start a modern English medium senior secondary school. Pls advice if relaxation is allowed in land norms. Also which other permissions are mandatory to start with? Also any incentives / support from Govt to start a school in rural areas.. There is no such relaxation you need to have a minimum of 1.5 Acres. Now my school complet one year old.This year i plan to start construction in my own land ,what is investment side & what requier a primary school about construction of number of rooms & size.Please send me a paid project report by ur cvil Engineer for primary std.please guide. May I request you to go through my last post/query. I have a school running till class 8. Number of teachers and students is the same as in mentioned in my last post. The school is affiliated by state board (Permission has been given by DEO. Now I want to start CBSE school but the land I have is located 30 kilometers from my present school. Now I want to start CBSE school in the location where I have land. I will shift my present school and merge it into that CBSE school. Can I do that? 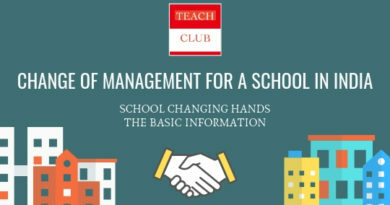 You can surely shift your school, no issues with that. But you will have to notify the DEO and get an affiliation of State Board on that premises as well. What you need to understand is the Affiliation is not given to a name (of the school) but to a ready & usable infrastructure (building). Your FAQs is one of the most helping I have ever found. Thanks for being so much straight and helping. However I could not find answer of my one question. I have a school running in Durg “City” it has classes from Nursery to eight and the enrollment is about 125 while the number of teahers is 17 of which 10 are trained graduate. There is one Principal also. The salary of teachers ranges from Rs 1500 pm to Rs 2200 per month. While salary of the head is Rs 2500 pm. Every month the management puts in about Rs 5000 – 10000 for the expenses related to school and thus the school is running in loss. I have piece of land of about 5 acre and is located about 30 Kilometers far from my present school. I am ready to either lease the land to the society or transfer it to the society already running the school. Since it is very very costly affair for me to meet the expenses of the land and building in city and hence I want to apply for CBSE school in that location. Will it be possible? Thanks for the words of appreciation. I can’t understand your question. Let me try guessing what you have to ask. a) Can I lease my land to someone else who will build the school and run the school. – Yes you can lease it to a society, which will build the school and run it in their own name. b) Can I apply for CBSE school just on the basis of land – The answer is ‘NO’ you cannot. CBSE looks at everything right from land, documents, teachers, students, pedagogy, salaries, infrastructure etc. You have to build a building – Get affiliated with state board – apply for NOC – Post that apply for CBSE affiliation. c) I have no Money or resources to build a school, what can I do to start a CBSE School? – You can mortgage your land with the bank, with the help of CA prepare a detailed Project Report and meet some bank who is ready to loan you the desired amount. In this scenario also 20% – 30% should come from your end. I hope you mean to ask one of the above question. Wish you luck. 1. Currently i have affliation from state board till VIII class since last year can i apply for X class CBSE in current year. The best time to apply for CBSE affiliation (uphill Class X) for a school is when they have Class VIII coming up. To quote an example: For a new School, Let us suppose Maxford School is going to start Class VIII by March or June 2016, then they should be applying for CBSE affiliation by June 2016. In case a school applies early say when they have class VI or VII coming up they unnecessary have to recruit teachers meant for Class IX & X. Hope I have been able to answer your question. Best of luck, Let me know if you are looking for a professional consultant to help you with the affiliation process. 3. I have recently applied for the NOC from state board and is expected only till januaury. Can i apply for cbse affliation. (do i need to submit a copy of noc during file submission for affliation. 2) CBSE doesn’t want NOC, the proof that you have applied for NOC and the same had been acknowledged by the department would suffice. If i am confident to get NOC, Can i apply for CBSE X, inthat case do i need to submit NOC at time of file submission or at the time of inspection. No you don’t have to, though if you can get NOC by that time – it will help. Can we have other way out for the same such as notary attested mutual agreement as the owner himself is settler in trust. That will not work, you will have to go for the lease deed arrangement, as this is the MOST IMPORTANT document where schools get stuck, save money somewhere else not here. 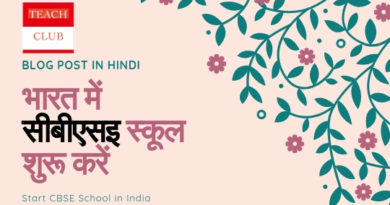 Muze khud ki preschool open karni hai ,Kya mai “HARISHCHANDRA INTERNATIONAL PRESCHOOL ” name preschool ko De sakta hu. Koi name par restrictions nahi hai? Jo naam rakhna hain rakhiye, No restrictions. Best of luck. our question is, is it neccesary to register the name of DEO for opening a new CBSE primary school. Actualy our society has opened new school without taking any permission from state government. So is there any penalty for not having legal permission? 3) Apply for CBSE — For this to happen state affiliation is a must and the proof that you have applied for NOC is a must. Final NOC is not compulsory. I want to know the procedure of Bank finance for starting a secondary school for land,building,furniture and misc expenses.How much cost will come except land for opening school.How much time system will take for providing approval and for other formalities. Procedure for Bank Finance starts once you make the trust / Society and cretae a DETAILED PROJECT REPORT (DPR) with the help of a Chartered Accountant (CA). Make sure you have resources enough to mortgage to provide as bank guarantee. To open a school the cost could be anything depending upon your vision and the facilities you wish to incorporate. A good assumption will be Rs 1300 per sq feet. Nursery to class 10 Cbsc board ke liye 1 acre chalegi.? muze land purchase Karna hai? 10 the class tak 1 acre land sufficient hai ya 1.5 acre land Lena padega.kyunki 12 std ke liye 2 acre land ki requirement hai.cbsc board ke rule ke anusaar. mai mai cbse affliation school kholna chhata hu starting nursery to 6th std se krna chhata hu abhi capital kum hai but age 12th std all stream tak extend karunga mai school bokaro,jharkhand rural area m school kholna chhata hu kitna acres land purchase krna parega. 1.online apply krne k pahle cunstruction pura krna parega ya kis stage m.
3.min… kitne capital s school start ho jayega. 4.kya pure land m boundry wall krna parega..
5.kya 6 class room ,one libarary,office,2 toilet,1 common room se school start ho jayega. 2.min construction area kya h – Kuch set nahin hain, depend karta hain ki construction kya har tarah ki mool-bhoot zarurat ko puri kar raha hain ki nahin. 5.kya 6 class room ,one libarary,office,2 toilet,1 common room se school start ho jayega. – Bachchon ki jansankhya pe depend charge ki kya yah sab parapet hain ki nahi. 2.I have made an educational trust also and construction of school is in progress with my own funds . wish to start session from 2017.kindly guide. 1) I do not understand Bigha as there are different versions are used in different places. All you would need will be a minimum of 1.5 Acres. So please calcutae accordingly and figure out. – Turnkey consultancy : We specialise in doing end to end project helping the promoters to conceptualise, plan, build and execute. This is a long term commitment where the period of engagement could be more than 18 months. This will include all aspects right from planning of the project to admissions and affiliations. – Franchise Management: We help school adopt successful franchise, we are already the sole franchise agents for Brighton International School, Career Point School and Vindhyachal School. We also help schools adopt other franchise also. – Feasibility study: This will give you a 10 years business plan, architectural and conceptual brief and stages of construction. This book would be the reckoner with which you can setup the school. – Academic Management: Academic calendar, planning of the entire year, student diary and activity calendar. – Recruitment and Trainings. We would assist in recruiting the teachers and principal and other admin staff for you. You need not to advertise and spend any cost on recruitment & training. – Resource Management. What type of infrastructure and soft infrastructure and academic infrastructure to be bought and from where, i.e. listing, vendor management and supervision of the process, IT and technological innovation and practices in the school. Systems, quality, MIS, various formats and Manuals (SOP) like HR, Operations, Faculty Handbook etc. We can do all this and more for your project, we keep travelling and would certainly like to meet up and discuss more about your thoughts on the project and share our experience and competencies with you. The remuneration of the service shall depend on the scope of work. 3) For loans approach Nationalised banks along with a CA and DPR. Thanks a ton for jotting down the points in such a simple form. I need help with couple of questions mentioned below. Hope you will be OK to guide. The school is already established around 12 years back in Kannada medium (State syllabus) from LKG to 10th in the rural area by an Independent committee. No issues till now. Now the management is looking at starting an English Medium school with CBSE affiliation. If you could just brief me the procedure, it will be of great help. I catually tried reading through pages but no luck with this scenario. I found this reply somehow in contrast with my query where in I too have 9th class running with state board. Isn’t this also the case of Switch Over? Hello sir Im from kolkata and I want to open a cbsc affiliated schoo.please clear me the all criteria and investment..
We opened a school in rural area in UP in April 2013 and applied for NOC thereafter and got NOC in December 2015.My question is, can I apply for CBSE affliation now or I need to get affiliation from the state first? As for as NOC is concerned I think it means that state government has No objection in running of our school. I look forward to your reply. I have gone through the link that you shared. Just wanted to know if I can apply after getting NOC or first need to get affiliation from state government. 1. MAIN CBSE SCHOOL KI SAMBADHATA LENA CHAHTA HOON . SHIKSHA VIBAHG MEIN MANYATA HETU ENGLISH MEDIUM SE PRE PRIMARY SE CLASS 8 TAK KI MANYATA HETU AUGUST MAH MEIN APPLICATION DIYA HOON. MANYTA ABHI NAHI PRAPT HAI KARYAVAHI CHAL RAHI HAI. KYA NOC KI BHI KARYAVAHI KARNA PADEGA ? 2. CBSE MEIN SMBHADHATA HETU KIS STAR KI PHEE JAMA KI JAY JAISE UPTO SECONDARY LEVEL OR MIDDILE LEVEL.? 3. SENIOR SCONDARY KI SAMBADHATA KE LIYE GRAMIN KSHETYRA MEIN KITANI JAMEEN KI AWASHYAKTA HAI? I AM AWAITED YOUR KINDALY RESPONSE. 1. MAIN CBSE SCHOOL KI SAMBADHATA LENA CHAHTA HOON . SHIKSHA VIBAHG MEIN MANYATA HETU ENGLISH MEDIUM SE PRE PRIMARY SE CLASS 8 TAK KI MANYATA HETU AUGUST MAH MEIN APPLICATION DIYA HOON. MANYTA ABHI NAHI PRAPT HAI KARYAVAHI CHAL RAHI HAI.KYA NOC KI BHI KARYAVAHI KARNA PADEGA ? – Manyata toh lena ho padega. NOC ka sirf application dikhanay se bhi aapka karya pura ho jayega. – Aap par depend karta hain, aagar school saatvi tak aa gaya hain toh 10th tak karwayi, 10th khulnay ke baad hi 12 th ki manyata milti hain. Really appreciate your effort in putting this much of information here! In the last academic session(2014-15), first batch of class 8th from our school got passed. Therefore ideally we should have applied for CBSE affiliation till secondary level last year only so that we could have accommodated this batch in current year(2015-16) in class 9th CBSE board. But unfortunately this could not be achieved. Therefore in order to not loose these students, we had taken affiliation from state board for secondary level, hence these students are studying in class 9th state board this year in our school. Now this year we have applied for CBSE secondary level affiliation as well which will hopefully be granted for next session onwards(2016-17) whose inspection is due in next 2 weeks. a) Can we run different classes for 9th std. from multiple boards(State board & CBSE) in the same school? b) While CBSE inspection, can we show the existing class 9th to the CBSE inspectors? a) Can we run different classes for 9th std. from multiple boards(State board & CBSE) in the same school? – YES, you can. b) While CBSE inspection, can we show the existing class 9th to the CBSE inspectors? – Yes, you can. The problem here is we have not shown class 9th while filling the online application form for CBSE in June 2015. Will it be safe if we somehow hide or dont show the class 9th at all? Or what is your take on this? Balveer, Hiding nothing is great. i want to open primary to class 5th cbse school what i have required for affiliation…..
> chalega?.land kharidna Karna hai. > dikkate or benefits issue? For Navi Mumbai get clarity from the CBSE office if they consider that to be a part of Mumbai or not. Post that all the other land requirements will come into play. Since I don’t know the geography so well about the ;and you are trying to describe, my suggestion have limited option here. To adopt a franchise or not is your personal call, all depends how capable you think you are and what kind of market does exist in that place. We have received the IC for the School. One of the committe members have opted out due to personal committments. The last date of IC is over. Have weitten to CBSE about this but have still not received any reply. Can you suggest a way out. To get someone on phone from CBSE is difficult. They will schedule someone and send. Hope you have sent the request letter to CBSE through the registered mail. I have a doubt in the letter to the bank regarding Staff Salary remittance. All the Academic staff will do. There are lot of school who outsource or work in tandem with outsourcing parties working on their Non Academic jobs. I don’t think that is a possibility. Anyway for affiliation the basic minimum requirement is affiliation from the state. NOC is only a ‘can have’ document whereas the affiliation approval is a ‘must have’. Some problem in land documents and NOC is not also available at that time. Now we have all documents.But now almost one year gone.Now I want to know Now we have to apply for fresh affiliation and forget about our previous application and money. Thanks for the information shared here! Do we need to show the balance sheet of the society as well which runs the school? or just the balance sheet of school would suffice here. Actually we didn’t complete the defeciences which cbse mentioned till now.Now there is almost 6 months is over but there is no reply from CBSE about our draft whether they cut some amount and given us the rest amount or they will not give any amount.We had submitted 75000/- Rs as a draft with the application. What you are saying doesn’t happen normally, your case seems to be an anomaly. Nevertheless, I suggest you write a registered letter and also send an email to CBSE asking the reasons for deficiencies. Money doesn’t come back. We had applied for the CBSE Affiliation and after inspection they have given us 3 months time to complete all our defeciences in the documents.I want to know now IS CBSE will return our Draft money or not. Is there a possibility to open the school near a corporation dump house 0.2 km away? There is no such provision where it is forbidden. Forget about whether they allow or not, why would you want to spend so much time, energy and money into something which is an issue to begin with. This question is in reference to cost calculation and budgeting for setting up a CBSE school in 6 acres. Question: From your experience what is the estimated cost of construction (per sq ft) for a Normal (Not Budget nor premium school) which includes everything from structures to equipments. An estimated range would also be helpful (For example Rs 1000/per Sq.Ft). 3) Take a figure of Rs 1500 as a multiplier (this will include everything) electrical/plumbing/whitewash and tiling. 4) for the playground & Garden take a multiplier of Rs 100, this would take care of landscaping/ Multiplay equipments and Playgrounds. First of all let me thank you for providing this usefull information,its really helpful. Sir,i am keen to know does opening a school from preschool to std 4th or 5th need cbse affiliation ? Can we start school after getting state affiliation? What if one doesn’t get affiliation from cbse ? My all queries are in context of pre school to 4th std. Does opening a school from preschool to std 4th or 5th need cbse affiliation ? – All the schools can start and run without CBSE affiliation. Though the schools cannot start without the state boards affiliation and permission. Please remember, CBSE is can-have board not a must have board. Can we start school after getting state affiliation? – No you cannot. What if one doesn’t get affiliation from cbse ? – No love lost, you can very well carry on under the state board or some other board like ICSE, IB etc. 1, How many class room requier for Nursery to std x. 2.The stairs height is what inch. 3.Construction built area is 21000 sqrft, is it enough for affilation and it is complet three star building? 1, How many class room requier for Nursery to std x.- One room each per class multiplied by number of section. In addition to that you have to build library, office space, labs, activity rooms and staff rooms. 2.The stairs height is what inch.- Ask your civil contractor, CBSE doesn’t have a say in this. 3.Construction built area is 21000 sqrft, is it enough for affilation and it is complet three star building? – Yes should be enough, just make sure the land measures more than 1.5 Acres. 2.How much area is required to be constructed initially to start with primary section. 3.Do permission of state government & cbse affiliation required to start classes from beginning. ( As per guideline issued by CBSE for NOC after High Court Order ). 4.If we lease out property for 30 year to society would that property remain eligible to get loan for construction of building. 1. Which mode i.e Society or Educational Trust will be relevant to establish school. ( keeping in view grants & aids by govt.) – Both are equally eligible. 2.How much area is required to be constructed initially to start with primary section. – Depends on your vision and facilities. Also depends on numbers of sections and size of classrooms. Since there are many factors one can’t say how much is enough. But as a thumb rule a normal classroom will be around the size of 20 X 25. 3.Do permission of state government & cbse affiliation required to start classes from beginning. ( As per guideline issued by CBSE for NOC after High Court Order ). – Nothing in CBSE would move without the state government’s affiliation and permission. A school cannot start to operate without State Govt’s approval. 4.If we lease out property for 30 year to society would that property remain eligible to get loan for construction of building. – Yes, I have got it done for my school. Thank you for your time spared for me sir.Since we dont know the procedure, your advice is most worthy for us sir.Query is regarding only fencing the campus on all sides and we have furnished that before itself sir. We will get the affiliation through online or we have to go in person directly sir. Don’t bother your affiliation will come through, keep a track of the status of your application online. Since you have not stated the nature of the deficiency I am assuming they are of the type which can be taken care by making some investment in the school. There is no bribe involved if the school has nothing to hide plus I don’t deal with such cases where bribe is involved. our school is from 8 to 12 std, state affiliated.we want to start it from first std(2015-2016).can we start it in cbse without permission of state government or without NOC from state government. if yes then how to apply? The answer to your query is ‘NO’. We cannot start s school and get it CBSE Affiliated without the permission of start board. So on case of you are starting a school I suggest that you apply for state board affiliation, subsequently apple for NOC and later apply for CBSE. i would like to start only VIII TO X standard in cbse. please tell me, shall i start? CBSE doesn’t allow a school to start only higher classes. So the answer to your question is ‘No’ you can’t do it. Start from class 1 and move upwards. what about icse shall i start 8th to 10th standard? Dear Nirmal, I will ask one of my colleague to get in touch with you to offer you our professional consultation services. 1) Norms & guideline for Secondary School by CBSE ( 6-10) – Read the Bye Laws provided by the CBSE, it is all there. Nice post with good Insights. Thanks for the detailed information provided regarding opening of a CBSE school. I have the following queries. My school in Bengaluru already has State Board affiliation. We want to start a CBSE school up to VIII. We want to procure an official permission letter from CBSE so that we can handle the queries of the parents when they ask about CBSE affiliation. Kindly guide me with the details like the person & the address/ office to which the letter needs to be sent to. We are trying to get NOC from the state government. Do we need to fulfill any other formality ? Is the school expected to work on Saturdays? or can we work for longer duration from Monday to Friday & work for 5 days a week? 2) Kindly go through my post http://brightoninternational.in/teachclub/opening-a-school-in-india-and-getting-a-cbse-affiliation/ I have mentioned everything there in terms of documents etc. 3) It is upto school to decide whether to work on Sundays or not. There is no official guideline for it. hi abhiney i am aashish jain frm nasik last 4 years i am running school in my city but this year i am planning to open 1st std by natural growth. my current status i hav only trust in my hand no state board permission. can i start 1std or not without permisssion ? It is not possible to start only Class XI & XII under CBSE board. The minimum land requirement in Bhopal is 1.5 Acres. There are no set guidelines for constructed area, as it all depends on the strength of the school which evolves over a period of time. But one has to make provisioning for playgrounds etc. A good approximation will be a construction of about 25,000 – 40,000 sq Feet per floor. You can multiply this by about Rs 1200 inclusive of furniture to get to a ballpark cost. As consultant we are doing two projects in Bhopal on a turnkey model, let me know if you would require any help in terms of consultancy. Land area is 300 sq.mt in loni Ghaziabad up. Can i get affiliation for pre nursery to class 8th from cbse.can i apply. NO you cannot get affiliation on 3000 square feet. Try opening only a pre school. We have applied for secondary school CBSE affiliation this year in June. Till date the status of our application is ‘In Scrutiny’. Do you have any idea by when we can expect the inspection to be plannned? There is nothing wrong with your application. This is a usual response till the time, they don’t go through all the documents you have submitted and constitute an inspection committee. The file will be under scrutiny for a few more days, if all your documents are in order you will get information to proceed further by November/December. Hang on for such time. Best of luck. Hindi Medium schools can also be affiliated with CBSE. Most of the schools in India are run by families. Yes and it is possible for all three from the same family, No issues. The online application form for affiliation of my School has a couple of mistakes that need to be rectified immediately. Could you please guide me for the same. I have my school affiliated with cbse as a status of girls school but I want to run it as coed school. Please tell me can I do that? If yes then how? I don’t think there is any trouble you will face wile changing the composition of your admission. Please go ahead, just build proportionate facilities like boys toilet etc and inform the same to the regional office. I want to know that for running my school as coed , is it required change to change my schools status from girls to coed in CBSE records? I really have to check on this by asking someone else. I checked up on the online application where the type of school is asked. I suggest please go and enquire at the regional office about the procedure, they should be able to help you. In the meanwhile if I receive some information, i shall pass on. Some schools give dummy admission to students. Is it really legal? No it is not legal, a school has to maintain a minimum attendance for every student. i have accuired a rented building of 4000 sqft and now planning to open a school in it.i got 3 queries. Can i directly open admissions from play school to class 5 ?? do i need to get cbse affilation for class 1 to 5?? do i need 2 acres and all for nursey to class 5?? Can i directly open admissions from play school to class 5 ?? – Yes you can. Get affiliation from the state government. do i need to get cbse affiliation for class 1 to 5?? – CBSE will not give you affiliation on 4000 sq feet plus they don’t have affiliation for Pre School and Pre primary. Change the configuration of the Trust where the majority of the members should not be related to each other and proceed. I have gone through all your posts. Its remarkably descriptive; however, please forgive my ignorance. I am from Gujarat, Ahmedabad and already running a franchisee model Pre-school since last 3 years in a rented premise (bungalow), now plan to go for STd.1 to 3 in the same premise. Affiliation on a rented premises is not possible. You have to have your own land/ or land on lease measuring more than 1.5 Acres. 1.Can i get the approval from CBSE board during the progress of the construction & arrange the inspection ? or should i complete the building & infrastructure & call for the inspection. Please advise. I have answered this question in my blog, restating it again – CBSE affiliation is only possible after the building and school are fully operational, so there is no question about getting in inspected during the construction phase. CBSE is not about only land and building, it is a holistic affiliation of infrastructure, people and processes. Lokesh, Please go through the posts all the procedures are listed over there. Hi abhiney sir.nursery to std x cbsc board ke liye 0.5 acre land chalega.? aur muze without franchise se cbsc board ka licence leke start Karna hai.is it possible? Yah 0.5 Acres nahin chalega. CBSE affiliation is not possible. We have the main issue that we have a family (charitable) trust. and the second is lease deed of 35 years because i have already constructed building on land that i have owned. The other formalities i prepaired. I can’t understand the query which you have posted. Can you tell me what is the issue you gave at this moment of time. There is no such guideline on the space required for classes etc. Though in the bye laws they suggest space for class with 45 students, please go through it. Though if you decided keep fewer students than you can go down on the sizes suggested in the bye laws. please take severe action on them and protect the future of students…..
PLase report the issue to the local DEO or write to CBSE board. If the land on which the school building is located is more than 1.5 Acres and is leased out to the society/trust running the school for a minimum period of 30 years, you can surely apply for CBSE Affiliation. Myself Shivendra Verma residing in Bhilai now a days. sir, i had opened a school in this session only located sub-urban area named Berla dist. Bemetara. As i have an issue i.e. the local district officer of bemetara dist. given a provisional affiliation of 6 months upto class-5. So, i just want to take guidelines from your that is it ok or they will give a permanent afiiliation. I want to explore my school upto class-12 asap. So sir, please guide me what i have to do. It is a little strange that affiliation is securedis for 6 months, normally it for longer duration. I suggest you ask them what is the way forward on this. Yes, state board also gives permanent affiliation. Thank you sir i had visited to the officer directly. As he assure me to contact whenever he will be Free. can you please tell me about the permission/NOC required before i start constructing my building for school.as i know, state board affilation, DEO permissions are required after i have completed my building, staff etc. but what permissions do i require before that i.e. before the construction of my school building. If the area is under the Town & Country planning department, you will have to get the map and the layout approved. Mr Abhinav What a great information u have given on yrs blog. i saluate u…. Thank you for your useful site. I am confused about the difference between accreditation and affiliation. Our school is currently up to 7th standard. Also does affiliation and/or accreditation change your relationship to the local BEO (Board of Education office) office. Affiliation has been existence since the CBSE started its operation, to define it is a process by which a school gets permission to adopt the NCERT framework and also participate in the exams conducted by CBSE for Secondary and Higher Secondary Classes. Accreditation is what CBSE has introduced a couple of years back to asses and maintain quality amongst the school already affiliated with CBSE. Does affiliation and/or accreditation change your relationship to the local BEO (Board of Education office) office? No it doesn’t as you are liable to respond to any query they have regarding the school, affiliation from CBSE doesn’t allow freedom from the health checks the local Education Office might have for your school. Plus they are the custodian of the Right To Education adopted by the Central Government. I am planning to start school and I was going through CBSE website and found that the affiliation permission for CBSE can be requested in the previous year of 7th 9th or 11th. Does this mean that I can start school upto 6th (With State govt permission for school) and then request for CBSE for affiliation.. Yes you can and that is how it is advisable because it gives time for the school owners to prepare themselves for affiliation by giving themselves a year or two. I am planning to start a school in rural place where I born and grew up. I want to provide the quality education to my people. Can you please suggest me what is the procedure to follow the opening a new school. I have written a separate entry dealing with this question. Kindly log on to http://www.brightoninternational.in/teachclub and go through several posts written in this context. I appreatite your contribution which helps people like me, I wanted to establish a private and independent(financed and organized by me)school,I would like to get affliation from CBSE. (My quick question follows.) Does formation of Society apply for my school? with out formation of Society can I start a school and still Aplly for a CBSE affliaction?. Does formation of Society apply for my school? YES, it applies to any school. You have to have a No for Profit Society / Trust running the school. – with out formation of Society can I start a school and still Apply for a CBSE affiliation?. Point 1) You cannot start a school in India without a society / Trust (Point 2) since State government will not give you permission in the absence of trust / society question of CBSE doesn’t arise. Anyway for CBSE also this is an essential requirement. Thank you for sharing useful information and helping us out. I want to start a pre school from nursery to senior kg. 1. Do i need an cbse affliation for pre school ? as in we can provide quality education without cbse as well but the students passing out from nursery school(without cbse affliation but intelligent student) will get admission into a cbse school easily ?? 2.Any minimum requirement for a pre nursery school to be affliated to cbse? like we are planning to launch school in prime resedential locality where 2 acre land is not feasible + not required for a preschool. I hope you get my question in short we do not want to spend a huge money on acquiring 2 acre land. our strength is quality education + innovation + english speaking.